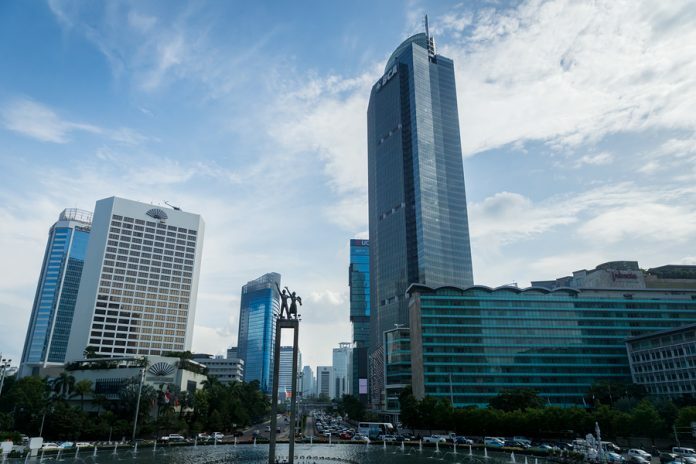 Indonesia’s (EIDO) crowded banking market has remained attractive for foreign financial institutions in the past and many of them have acquired controlling stakes in local lenders. Most of these investors are financial institutions based in Asian countries like South Korea, Japan and China. 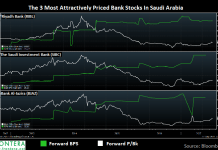 Some are Middle Eastern firms such as the Qatar National Bank that are interested in picking up stakes in Islamic banks internationally. 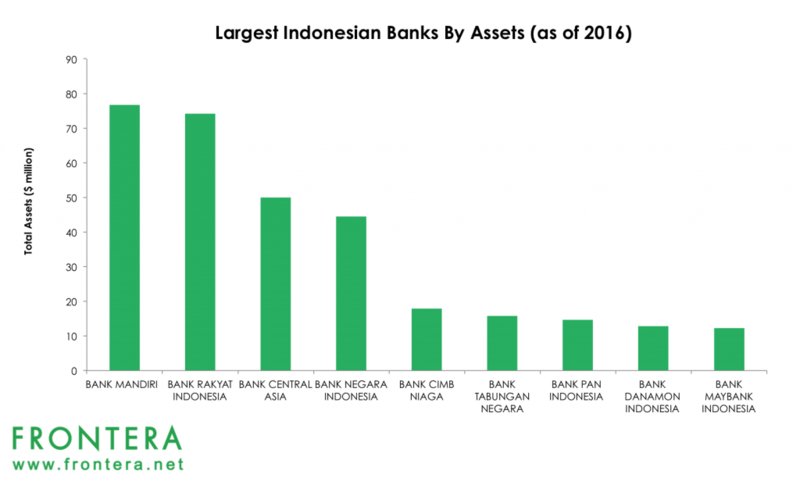 Recent acquisitions of local banks by these foreign institutions are driving consolidation in the Indonesian banking sector. The Financial Services Authority of Indonesia, OJK, had previously encouraged mergers of small banks or acquisitions by foreign institutions for these lenders to meet the minimum capital requirement set forth. However, rapid economic growth in Indonesia coupled with an under developed and fragmented banking sector attracted foreign lenders from Asia to the country in droves. 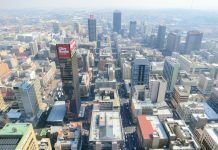 The country’s central bank then imposed a 40% single ownership cap in 2012, discouraging large foreign investments in the country’s baking sector. With an economic growth target of more than 5.3% for 2018, the Indonesian banking sector offers high growth potential to investors. The country’s banks are more lucrative compared to other Southeast Asian markets. Banks in the Indonesian market generated average return on assets (ROA) of 2.5% higher than other South East Asian nations. China Construction Bank holds 60% of stake in Bank Windu that it acquired in 2016. Post the acquisition; Bank Windu was renamed to PT Bank China Construction Bank Corporation Indonesia. China Construction bank is among the largest banks in China and among the top five in the world by market cap. The company entered Indonesia to strengthen its presence in South East Asia and expand its global business. Bank Windu operates a network of 82 branches in Indonesia. In 2016, the bank had $905 million in assets and net interest margins of 4.9%. China Construction Bank trades on HongKong and Shanghai stock exchanges with tickers 0939.HK and 601939.SS . Bank Windu trades as PT Bank China Construction Bank Indonesia Tbk on the Jakarta Stock Exchange with ticker MCOR.JK. Temasek, Singapore’s government investment firm, is one of the biggest institutional investors in the world. 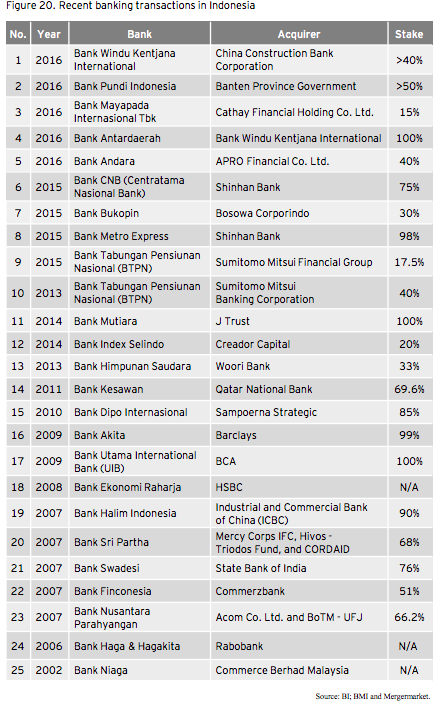 The company owns 68% in Indonesia’s fifth largest bank PT Bank Danamon that it acquired in 2003. The company is in talks with Japan based Mitsubishi UFJ Financial Group to sell 40% of its stake for around ($1.8 billion) 200 billion yen. The firm, through its subsidiary Sorak Financial, held a 55% stake in PT Bank Internasional Indonesia (BII) which it sold to Maybank in 2008. Temasek had also attempted to acquire a stake in PT Bank Permata in 2004. Malaysia’s largest financial institution, Malayan Banking Bhd, holds a controlling stake in Bank Internasional Indonesia (BII) that it bought from Temasek and South Korea’s Kookmin Bank in 2008 for $1.5 billion. The company owns nearly 97% of Indonesia’s sixth biggest lender. Maybank trades on Kuala Lumpur and Munich stock exchanges with tickers 1155.KL and MYB.MU. The company’s shares also trade on OTC Markets with the tickers MLYBY and MLYNF. Bank Internasional Indonesia (BII) trades as PT Bank Maybank Indonesia Tbk on the Jakarta Stock Exchange with ticker BNII.JK. Mitsubishi UFJ Financial Group, a subsidiary of Bank of Tokyo-Mitsubishi UFJ, has proposed to buy a 40% stake in Bank Danamon Indonesia from Temasek for $1.8 billion (200 billion yen). As per Reuters sources, MUFG would begin investing in Bank Danamon starting April 2018. MUFG has been expanding its presence in South East Asia as it faces sluggish growth in its home market. The company also holds stakes in Vietnam’s Vientinbank, Thailand’s Bank of Ayudhya (BAY.BK) and Security Bank Corp (SECB.PS) of the Philippines. The company generated 31% of its operating profits from its global banking business in 2016. MUFG trades on New York and Munich stock exchanges with tickers MTU and MFZ.F. The company’s shares also trade on OTC Markets with the ticker MBFJF. Bank Danamon trades as PT Bank Danamon Indonesia Tbkon the Jakarta and Frankfurt Stock Exchange with tickers BDMN.JK and HX9.F. Taiwan’s largest financial holdings company Cathay Financial holds 40% in Bank Mayapada Internasional Tbk PT that it bought for $278 million in 2016. Bank Mayapada is the fifteenth largest Indonesian bank by assets. The acquisition of Bank Mayapada is part of Cathay Financial’s strategy to expand its presence out of Taiwan’s overcrowded banking market. Cathay Financial trades on Taiwan and London stock exchanges with tickers 2882.TW and CFHS.IL. 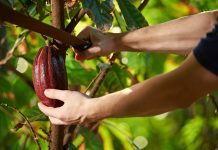 The company’s shares also trade on OTC Markets with the tickers CHYFF and CHYYY. Bank Mayapada trades as PT Bank Mayapada Internasional Tbk on the Jakarta Stock Exchange with ticker MAYA.JK. South Korea based Shinhan Bank owns 98% stake in Bank Metro Express and 75% stake in Indonesia’s Centratama Nasional Bank . The company bought these stakes in 2016 and 2015 respectively as part of its push to expand into Southeast Asia. Shinhan Bank is part of Shinhan Financial Group. Post the acquisition, Bank Metro Express was renamed to Bank Shinhan Indonesia. Currently, Shinhan Bank trades under the parent company Shinhan Financial Group on the South Korean, Frankufrt, Johannesburg and Mexican Stock Exchanges with tickers 055550.KS, KSF1.F, SHG and SHGN.MX respectively.